These Terms and Conditions apply to the accessing of the site (“Website”), the use of all TonysPicks.com good and services (“Services”), and all other transactions that may transpire in relation to any aspect of services. All terms stipulated herein are drafted in English, whereas any translation provided is solely for readers’ convenience. 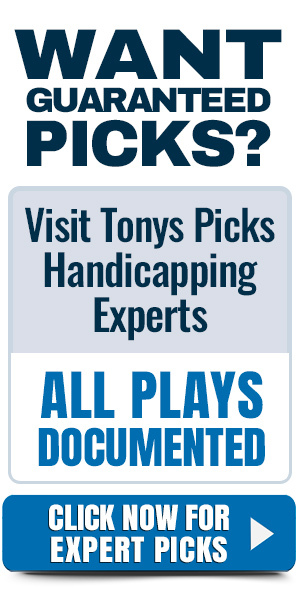 We, at TonysPicks.com, collect pertinent information from you as a result of accessing our Website, participation in any the contests, or subscribing to our newsletter. While you users may visit our Website anonymously, registering or placing an order may require users to indicate full name and e-mail addresses. Users also agree that all Personal information provided when registering on our Website are up-to-date, Failure to do may consequently result in the breach of conditions. Such Personal Information entails all necessary information as determined by us in absolute discretion. This is to allow TonysPicks.com to properly identify its users whenever deemed necessary. All information collected by TonysPicks are only obtained on-line. Be informed that third party vendors, such as Google, utilizes cookies for specifically to serve ads. DART cookies are typically enabled by third-party vendors to serve ads based on user’s behavior and browsing habits, and use of Internet. In the event that you prefer to opt out completely of the DART cookie, see to it that you review the content network privacy and Google ad policies firts before doing so. To be used for sending of necessary emails pertaining to orders or subscribed Services. It is also the responsibility of the users to keep all data provided accurate and up-to-date. We, at TonysPicks.com reserves full right to either suspend any account if the supplied information were found to be inaccurate. We, at TonysPicks.com, implement full measures to secure and protect the personal information provided by the users and visitors of the site upon accessing the site and registering. We are keen on using a secure server at all times. All sensitive information pertaining to credit card and personal details of the users are transmitted through the Secure Socket Layer technology. Such set of information is then encrypted into the Site’s Payment Gateway. Sensitive and personal information can only be accessed by authorized personnel who possess a special and strict rights to the use of the system. We do not disclose, sell, or share information of our users, and we are committed to keeping your sensitive information confidential. In addition, we do not utilize information other than in facilitating our Services. Note that after a successful transaction, all private information pertaining to bank accounts, Social Security Number, credit cards, etc will no longer be stored on the servers. On the other hand, we may release information if and when it is required by the law, needed to protect our rights, or when enforcing the policies set forth by the Website is deemed necessary. Furthermore, visitor information that is non-personally identifiable may be shared with other parties for the purpose of advertising or marketing. As the User, you retain the right to be alerted when a cookie is being sent. You may opt to also turn off the cookies by configuring your browser settings. It is, however, crucial to remember that doing so may have an impact on the features and services provided by the site. Should any feature or service cease to function, you are advised to place any order or avail any services by contacting our customer service directly. At the discretion of TonysPicks.com, users may also encounter links on products and services offered by third parties. Please know that these third party sites on Websites possess an independent and separate private policies. We will not be held liable or responsible for any activities and content associated with these third-party links. However, we welcome any form of feedback regarding these sites so as to also help us protect and maintain the integrity of our Website and Services. Let it be known also that TonysPicks.com authorize third-party companies to collect anonymous information and to serve ads directly on the Website. The information that can be collected by these companies are only limited to the non-personally identifiable ones, including the browser type, clickstream info, the advertisement subject, and the time and date of the website visit. The collection of such information is carried out for the sole purpose of placing ads which may be of greater interest to the users or site visitors. If you require further information on such advertising practice or to know how you could opt out to this type of feature, feel free to visit the website www.networkadvertising.org. We, at TonysPicks.com, vow to fully comply with the Children’s Online Privacy Protection Act (COPPA) at all times. We see to it that no information on users of the Website aged 13 years and below are collected. We would also like to reiterate that the products and services offered by our Website are solely for individuals who are at least 18 years of age. Using the Website and/or browsing the entire are tantamount to fully agreeing with all terms and conditions stipulated on this page. If you have purchased an automatically renewing Premium Membership on Tony’sPicks.com. and would like to stop the subscription from automatically renewing, you can do so at any time by emailing us. We will cancel the membership within receiving the email. All membership cancellations request should be emailed within 3 days prior to the automatic subscription. For the 3-day trial membership cancellation, you need to email us 48 hours before the automatic subscription renewal. To automatically stop and receive refund/credit of your daily, weekly, monthly, quarterly, annually or season membership, you must email us with the request within 3 days of your next automatic renewal date. We will terminate your Premium Membership at the time and issue a refund for that particular day, week, month. For the 3-day trial membership subscription, you need to email us 48 hours before the automatic subscription renewal. We will refund the 3 day trial within 48 hours after your email request.